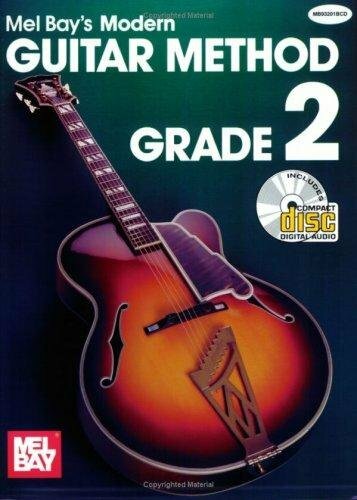 Modern Guitar Method Grade 2 features a tremendous amount of playing material for the guitar student. Because of this, a special two-CD package is offered with hours of playing material. The split-track format featuring the guitars of Tommy Flint and William Bay contains the solo parts on the right channel and the accompaniment parts on the left. The guitar student may play with melody, accompaniment, or both!